Gas masks are one of the must-have items for any prepper. Having a gas mask will make all the difference in certain emergency situations. A gas mask can save your life in the situations, where the chances of air getting polluted with lethal toxic gases are high. For example in case of a volcano erupting, the air gets contaminated with dust and ashes. Similarly when confronted with tear gas attack or other chemical gas attack, a gas mask will save your life by filtering out all the dangerous pollutants from the air you breathe. You can very easily buy top quality gas masks these days. They are easily available both online and offline. You can buy top notch military grade gas masks from the Internet, hardware stores and from military surplus outlets. Although these perform superb at filtering the dangerous gases out, they have certain limitations. For example they cost a lot of money, they need a routine maintenance, and you cannot carry them around all the time. Fortunately there are alternatives to buying these regular masks. 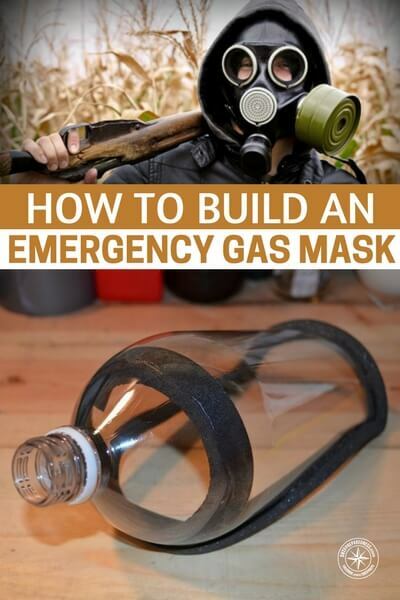 You can build a gas mask yourself on the run, using the materials you can easily find in your home. 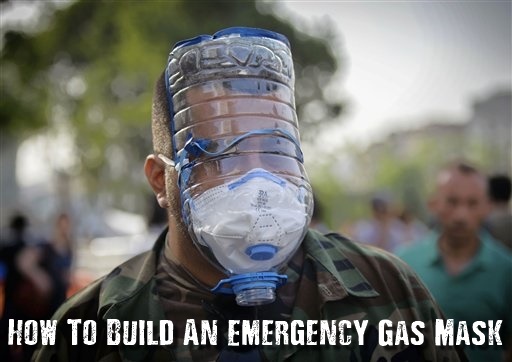 The DIY gas masks don’t cost much and they don’t need to be carried around all the time. Read on to get this knowledge.